Since I’ve now been practising meditation for some time I’ve made some remarks that might be useful for someone. Consider it as a beginner’s advice for beginners. Just at the starting point here, bear with me. vary the duration: if you always meditate exactly ten minutes you start to anticipate the timer’s ending sound as you get used to it. Makes it harder to concentrate on nothingness when you expect the alarm to go off any minute. dim the lights: at least for me it helps to reduce stimuli by meditating in a little less lit environment. Candles work fine, naturally, but are not in any way essential. The less arrangements the meditation requires the better the chance you do it. choose a comfortable position. 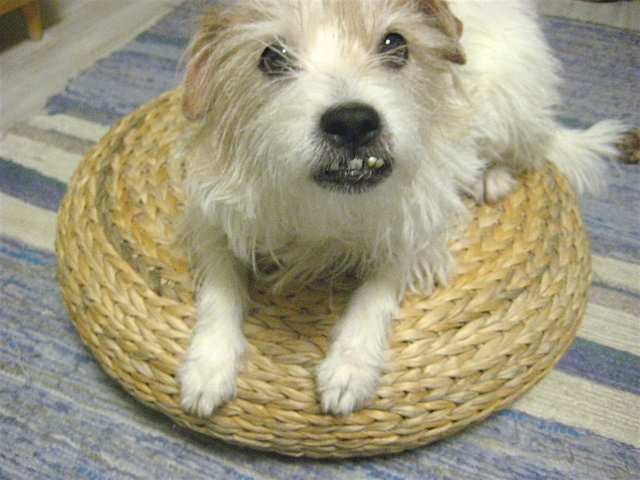 I like to sit on the bed on a pillow, on the kitchen carpet or on the stool made out of banana leaves (btw. this stool costs only 29,95e and is available on Ikea – and no, I’m not getting a penny for advertising this). Why so serious? Try smiling internally while meditating, it helps to relax the face. Entry filed under: mindfulness. Tags: meditation.